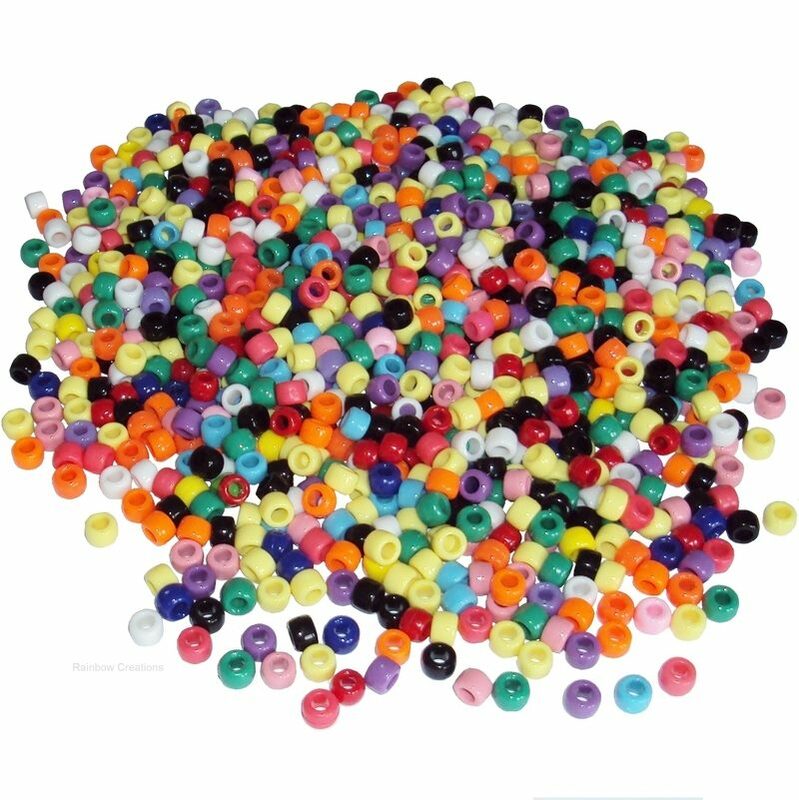 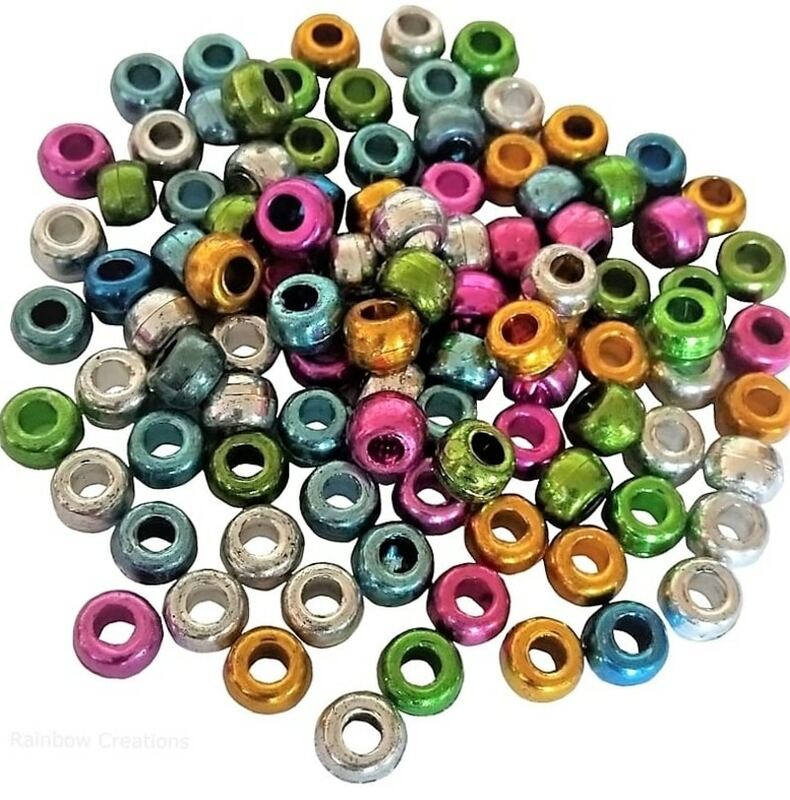 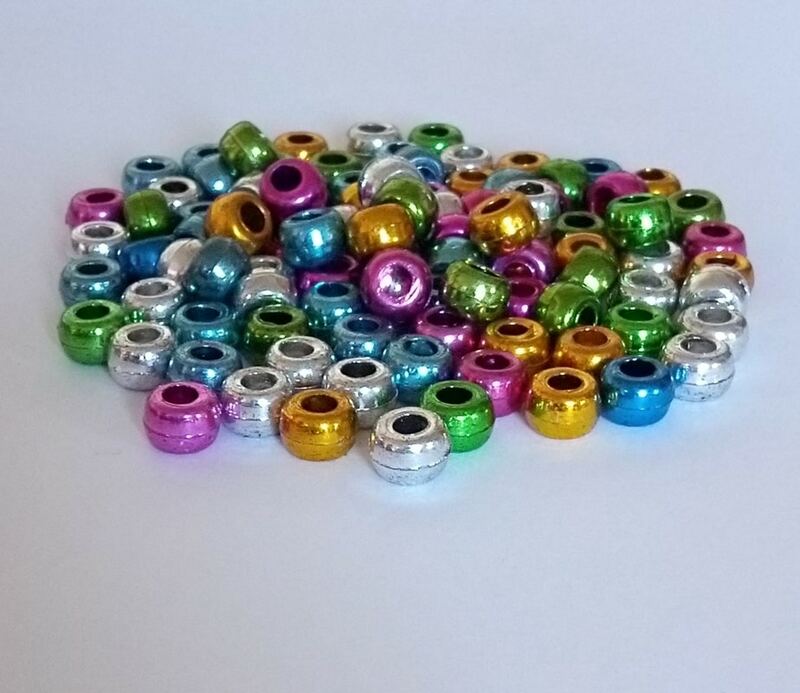 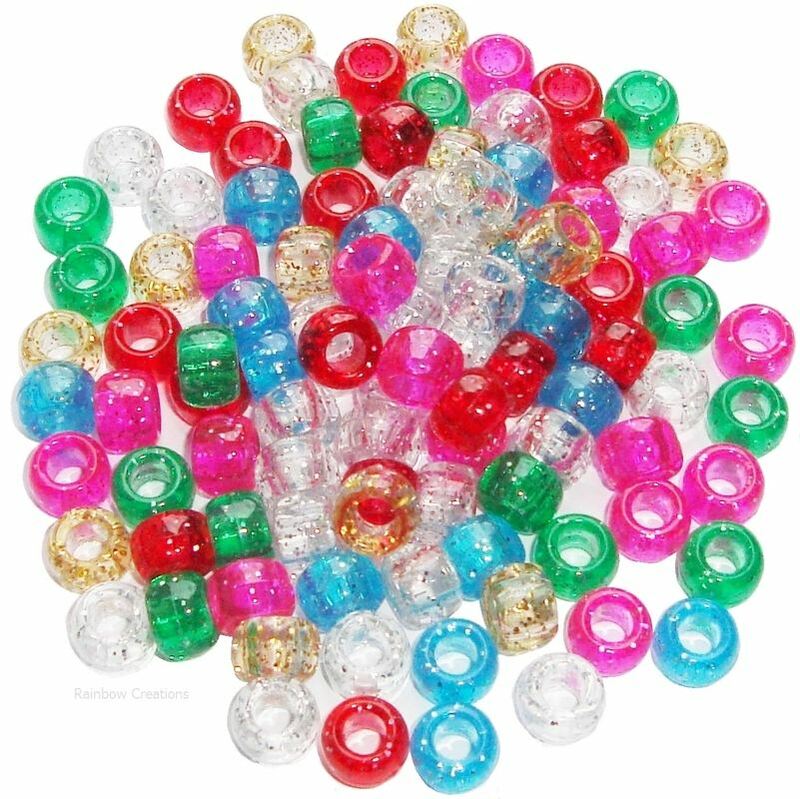 Metallic pony beads in a pack of mixed colours. 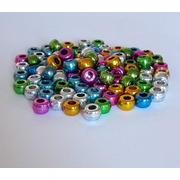 Shiny metallic children's pony beads are useful at Christmas time when making for children to make Christmas decorations with. 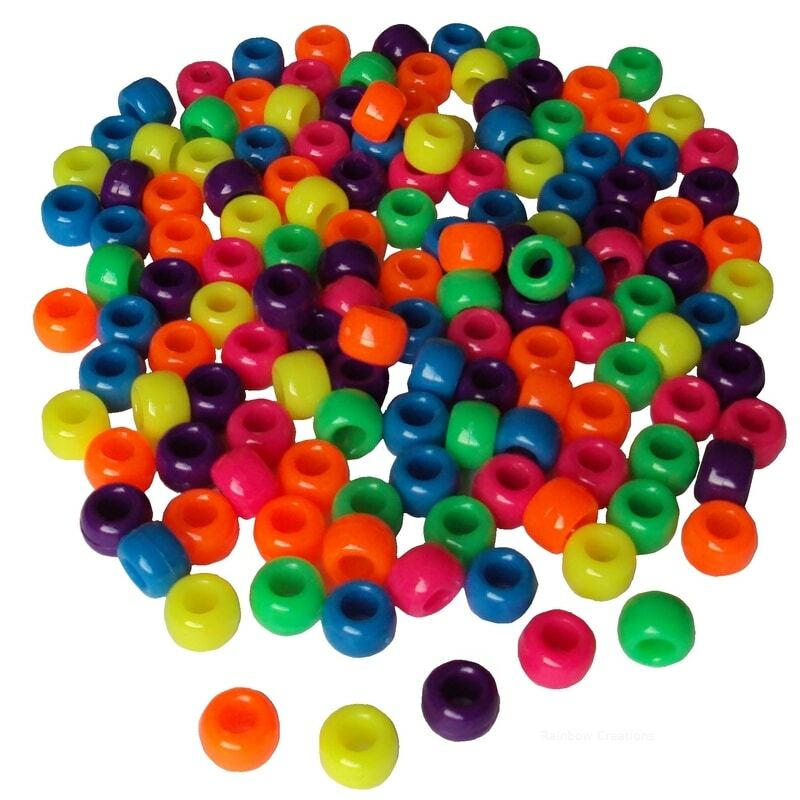 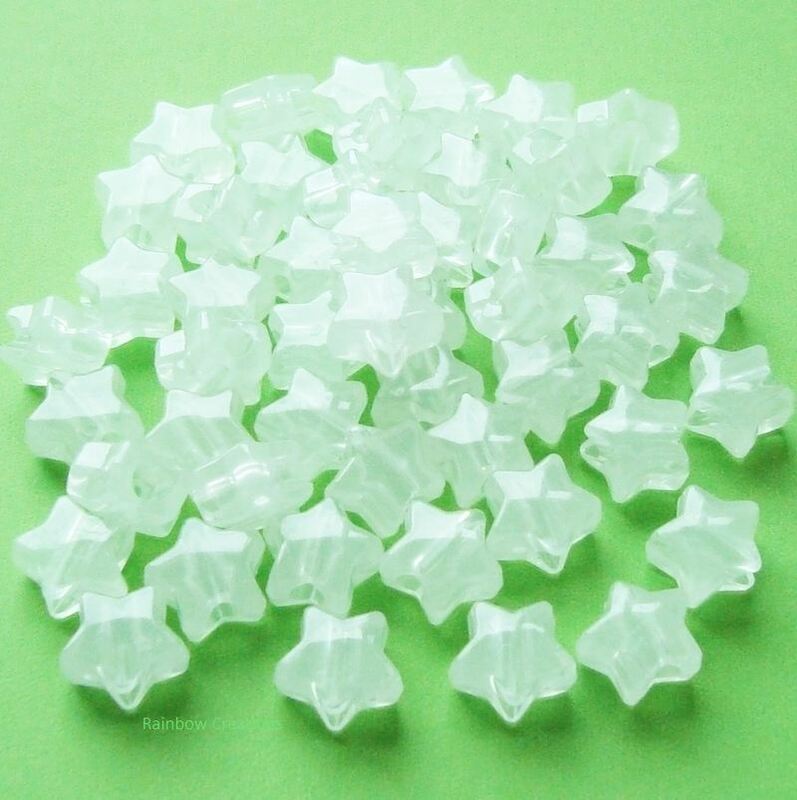 Ideal for threading onto pipe cleaners as well as for making jewellery.